BETCHA THOUGHT I’D SAY COOKIE, HUH? We’re fortunate to live in an era where we can communicate our message on a global scale. It’s a great time to be a writer. 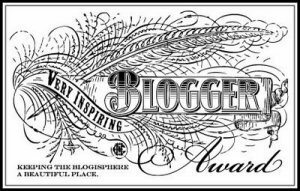 The fact that I can branch out and ‘meet’ new people on a daily basis from all around the world through a blog amazes me. What better reason to challenge myself into writing two stories in April, to blog about various topics throughout the month, to push my creative envelope. There’s so much we can accomplish in a day and there are so many opportunities out there. What’s stopping us from reaching our goals? Sometimes, we’ve just got to seize the day–and take the plunge. It’s the thought of finality that drives me to create. I want to leave this world knowing I made some sort of artistic impression. I want to contribute to the constantly evolving methods of creative communication. That’s why I’m a writer. That’s why I love the artform. What motivates you to shout, CARPE DIEM? 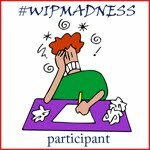 This entry was posted in Blogging A to Z Challenge, Camp NaNoWriMo, Round of Words in 80 Days, Savvy Authors Boot Camp and tagged Carpe Diem, goals, opportunities, Seize the Day, writing tips. Bookmark the permalink. 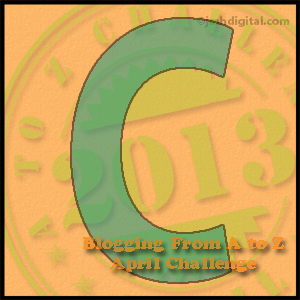 Blogging A to Z Challenge going well. As you can see above, I’m on C, so far. Apologies for putting the check-in here. I scheduled the post to come out at 12:01am Then remembered the check-in. Pretty good progress, there! The Savvy Authors site looks interesting, too. Definitely one to explore. Thank you. Did 4 sprints yesterday and clocked in over 3K for each story. My fingers… can’t feel ’em. Savvy Authors have a great support system and I’ve been taking workshops there since December. Great community. You’re burning it up! Way to go. Best wishes for continued success! I love how you worked poetry into the “ABC Challenge.” Definitely have to line up a ‘double-feature’ (Dead Poets Society and Up) for Sunday if I make my word count. Thanks for the motivation! Just imagine I added a poetry challenge to my laundry list of writerly affairs! However, to honor National Poetry Month, I’ll be slipping in some of my favorite poems throughout April. Stay tuned! Also, I read your blog in my inbox and laughed. Great minds with cookies. 🙂 I wanted to comment but the link led me astray. I’m constantly trying to carpe diem but it keeps slipping out of my hands! That clip from Dead Poets Society is a good one. I’ve seen the movie but it’s been a long time. Makes me want to watch it again. Carpe Diem is something I think most of us forget in the world today. We are all in such a hurry to go here or there or do this or that. Sometimes we just need to stop a moment and breath. Life is too short to not care about the small stuff. I learned that through a tragedy. But it was through this tragedy that helped me to appreciate life more. We are blessed with each day, along with everyone and everything in it. Good or bad, we’re better for the experiences we’ve endured. Especially with the little ones in my family, I’m constantly inspired by what we can achieve when I see the world through their eyes. Our world is a better place with all the little angels around us. Our lives are richer for it, too. Thank you again for letting us glimpse into the shining light that Mari brought into yours.